Understand up front that opting for the sportiest John Cooper Works model and outfitting it with all of the latest technology will run the car very close to, if not slightly above, $40,000. If you're looking for style with a dash of sport and a handful of practicality, the MINI Cooper Coupe is a great choice. Small, quirky, well-made, and fun-to-drive: the MINI formula has held together even through its transfer from its original owners to BMW's stewardship. This year, we get the mini-est MINI of the new breed yet: the Cooper Coupe. Available in all three standard MINI flavors, the Coupe aims to pack in more style and performance per cubic inch than anything else in the range. And it succeeds. Whether you love it or hate it, you have to admit the roofline of the new MINI Coupe is a head-turner. From the heavily raked windshield to the large rear spoiler, the swooping shape is called the "helmet" by MINI, and it's an apt descriptor. Below the helmet, the Coupe is basically standard MINI, though it does have some unique traits under the skin. 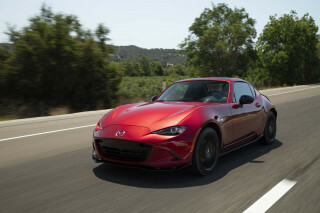 In contrast to its hatchback and Clubman siblings, the Coupe has a more rearward weight bias, which makes it handle more neutrally, and gives it a somewhat greater willingness to enter the realm of steady-state oversteer than the others, or than most front-drive car for that matter. 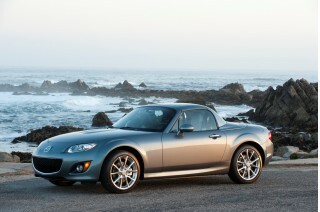 This makes it a ready companion in fast switchbacks, rotating almost as well and as easily as a rear-wheel-drive car. Combined with its punchy array of 1.6-liter four-cylinder engines, the MINI Coupe range is one of the most fun-to-drive cars in its class. Those engines come packaged in the three usual MINI trim levels: standard MINI Cooper Coupe, MINI Cooper S Coupe, and MINI John Cooper Works Coupe. The base MINI Coupe gets a naturally-aspirated 1.6-liter four that generates 121 horsepower, while the Cooper S Coupe adds a turbocharger to increase power by 50 percent to 181 horsepower. The John Cooper Works model ups the output to 208 horsepower. 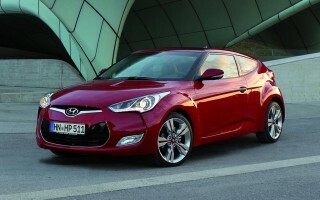 Each model also gets progressively sportier suspension tuning, interior appearance options, and exterior cues. Speaking of the interior, it's more spacious and comfortable than you might guess given its small exterior dimensions. Six-foot-plus adults can sit comfortably with ample headroom, though somewhat less so than in the hatchback MINI Cooper, due to the lower roofline. Shoulder and hip room is very good as well. Our only beef with the MINI is that some of the materials on the dash and some of the switchgear doesn't look as nice as its $22,000-$32,000-plus price tag might indicate. Despite their small size, the MINI Coupes aren't lacking in technology: the MINI Connected infotainment system with optional navigation includes smartphone and Bluetooth integration, iPod connectivity, voice commands, and the ability to use some apps. It's controlled through a small joystick in the lower center console that's a bit cumbersome, and there's no touchscreen, but one the whole it's a serious upgrade for the tech junkie with a MINI streak. Safety of the Coupe hasn't been independently evaluated yet as it's a brand-new model, but it comes standard with anti-lock brakes, stability and traction control, and a well-engineered crash structure--2010 MINI Coopers rated four stars in front and side collisions under the old rating system. Unique among the MINI range, but with familiar cues and compact style, the 2012 MINI Cooper Coupe looks as fun as it is to drive. 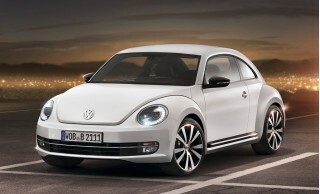 At first glance, the 2012 MINI Cooper Coupe is at once completely new and yet very familiar. Wearing what MINI calls a "helmet" for a roof, the Coupe's short greenhouse, sloped rear window, integrated rear roof spoiler, and low rear side windows give a sportier flair to the familiar MINI Cooper platform. The front end, sides, and rear bumper are all relatively familiar, however, retaining MINI's essential styling themes, shared across most of the lineup. The large headlights, short hood, contrasting mirrors and roof, plastic fenders, and bluff tail all tie the new two-seater in with the hatchback and clubman. There's also an active rear spoiler that pops up at speed. Inside, the style is all familiar MINI, complete with all the quirky themes and toggle switches of other MINIs, including the oversized, center-mounted speedometer surrounding the infotainment display. The rear seats are gone, however, with speakers and a storage binnacle in a bulkhead right behind the front seats. 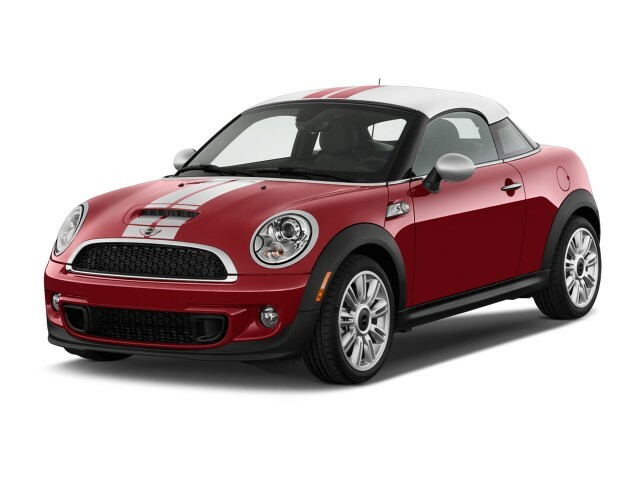 The 2012 MINI Cooper Coupe packs a lot of performance and handling into a small space, making for a fun and lively drive. Like the rest of the MINI range, the MINI Coupe is available in Cooper, Cooper S, and John Cooper Works trims. 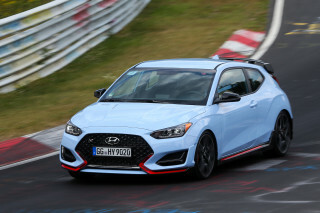 These come with a 121-horsepower 1.6-liter four-cylinder, a 181-horsepower turbo 1.6-liter four, and a 208-horsepower turbo 1.6-liter four, respectively. Each model gets progressively sportier suspension settings and interior and exterior decorations, as well, including progressively larger and more ornate alloy wheels ranging from 15- to 17-inches. Brakes likewise get larger on the higher performance models, while acceleration times get smaller: the John Cooper Works Coupe takes just 6.1 seconds to hit 60 mph, and carries on to a top speed of 149 mph. Dynamically, the Coupe is perhaps the most engaging MINI, being more ready to rotate and equipped with somewhat more liberal traction and stability control settings. Electric power steering means there are some unnatural aspects to the feel, but for a front-drive car, it's surprisingly communicative. It's tossable, fun, and spirited, even in base form. The 2012 MINI Cooper Coupe's solid mechanicals combine with a quirky interior that's comfortable but can develop some squeaks and rattles. Modern MINIs have long had a surprising amount of space in their front seats, and the MINI Coupe is no exception. Even those well over six feet will find enough head and legroom, while the largely useless rear seats of the standard Cooper aren't missed by any but the most petite. 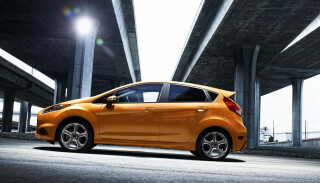 Cargo space in the hatch area won't really be missed either, though taller packages will be less likely to fit. Still, the Coupe holds a fair amount of gear, particularly considering its smaller overall appearance. Materials, fit, and finish, are par for the MINI brand, which means generally good-feeling plastics and fairly accurate assembly, but the creaks, groans, and rattles of other MINIs are likely to develop here as well, and will be particularly noticeable over rough roads, which highlight the often stiff ride quality of Cooper S and JCW models. Not yet rated by the NHTSA or the IIHS, the 2012 MINI Cooper Coupe comes with a strong list of standard safety equipment with more available upgrades. Because it's so new, neither the National Highway Transportation Safety Administration (NHTSA) nor the Insurance Institute for Highway Safety (IIHS) have crash-tested the MINI Cooper Coupe. Nevertheless, it is outfitted with all of the same standard safety features as the other MINI models, including four airbags with head-thorax protection, a crash sensor system, dynamic stability control, anti-lock brakes, cornering brake control, tire pressure monitoring, and, in Cooper S and JCW models, standard run-flat tires. Though lightly equipped in base form, the 2012 MINI Cooper Coupe is highly customizable, with a wide range of available upgrades--just beware the potential to balloon the price tag. The base 2012 MINI Cooper Coupe starts at a rather reasonable $22,000, but comes with a fairly basic set of equipment, the highlights being HD Radio and SiriusXM satellite radio, a standard six-speaker CD audio system, plus complimentary roadside assistance. Optional extras include navigation, a Harmon/Kardon audio system, an electronic differential lock system, sport suspension, run-flat tires, upgraded 16- or 17-inch alloy wheels, park distance control, MINI Connected, and a whole host of cosmetic upgrades for the interior and exterior. Many of these options are standard equipment on the pricier Cooper S and John Cooper Works models. A range of packages bundle some of these options together, including Premium, Sport, and Technology packages. With a long list of optional upgrades and personalization features, the MINI Coupe is just as customizable as any other MINI, and far more so than most other cars in the segment--but beware the bottom line: the price can rise rapidly into the $40,000 range on a well-equipped John Cooper Works model. Almost as green as it is sporty, the 2012 MINI Cooper Coupe is among the most efficient fun-to-drive cars around. The MINI Cooper Coupe makes the most of its small size and light weight to deliver good gas mileage as well as sporty dynamics. 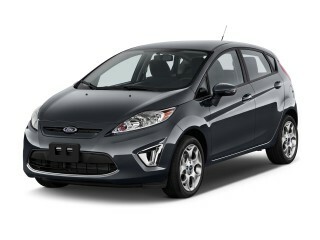 Base models check in at 29/37 mpg city/highway with the manual transmission and 28/36 mpg with the six-speed automatic. Cooper S models score 27/35 mpg with the manual and 26/34 with the automatic, while the John Cooper Works Coupe (manual only) rates 25/33 mpg. Fantastic, what a great car that BMW now owned, I call it my little baby BMW. Love the look, love the ride, many people comment on it saying what a cute car and we have won many trophies at car shows. Great little car with plenty of get up and go! 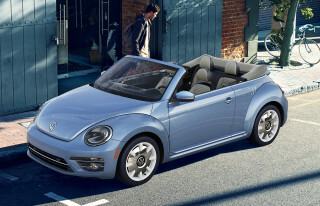 The Mini Coupe is a two seat roadster with plenty of space inside. Lots of power and great handling. It makes you feel young again! Looking for a different year of the MINI Cooper Coupe?